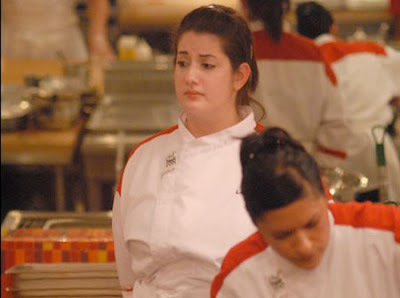 Charlotte native and former Central Piedmont Community College student Lacey survived another round of elimination last night on Hell's Kitchen. The episode started with her Red teammates reminding her how she'd been lucky to make it through the previous round. During the heated moment, the 24 year-old responded: "Do you want me to go quit right now? Then shut the f--k up about it!" In case you don't know, a lot of cursing goes on in the kitchen. Catch Hell's Kitchen Thursdays at 9 p.m. on FOX. Click here for Lacey's bio. You gotta stand the heat, Lacey.